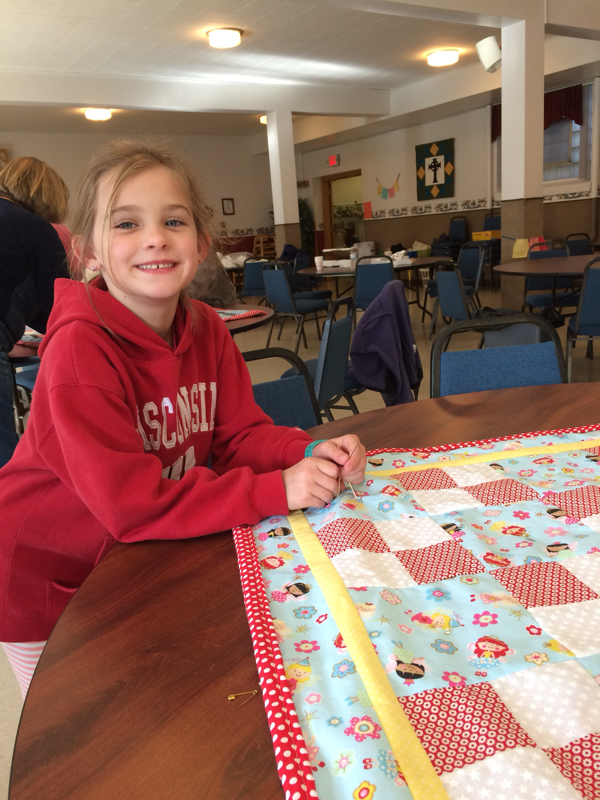 Today we made more blankets for CMN at Holmen Lutheran Church, with the help of some friends! It is always so fun to get together and make these, and the end results are always worth the work! Thank you to everyone who helped out today, especially Ellen Hesselberg, who always works so hard to make this all work out! 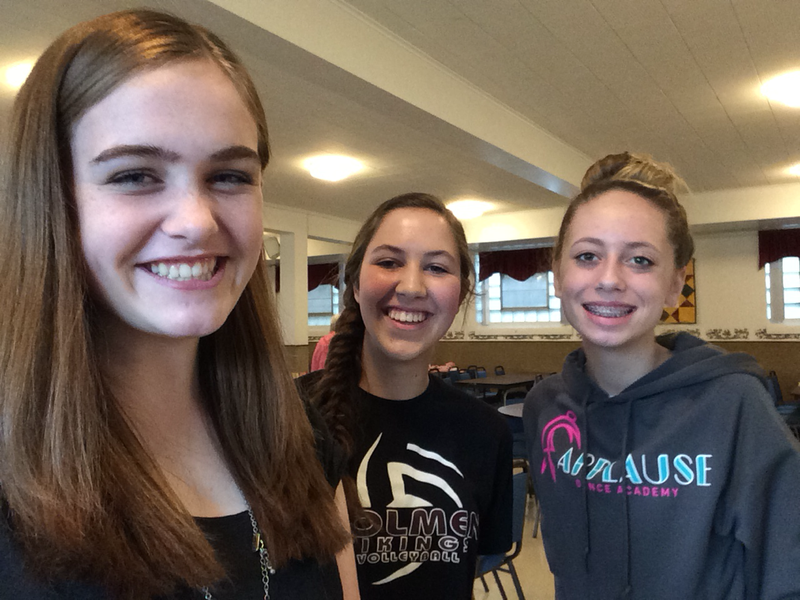 Well, Bingo Night (put on by Holmen Middle School Student Council) was a huge success! The total profit of the night was $214 and we couldn't be more excited. Lots of people came and it was a fun night, and thank you to everybody who came to support and especially thank you to everyone who worked there, especially Ava and Ms. Johnson! Thanks again to everyone, the night was great! 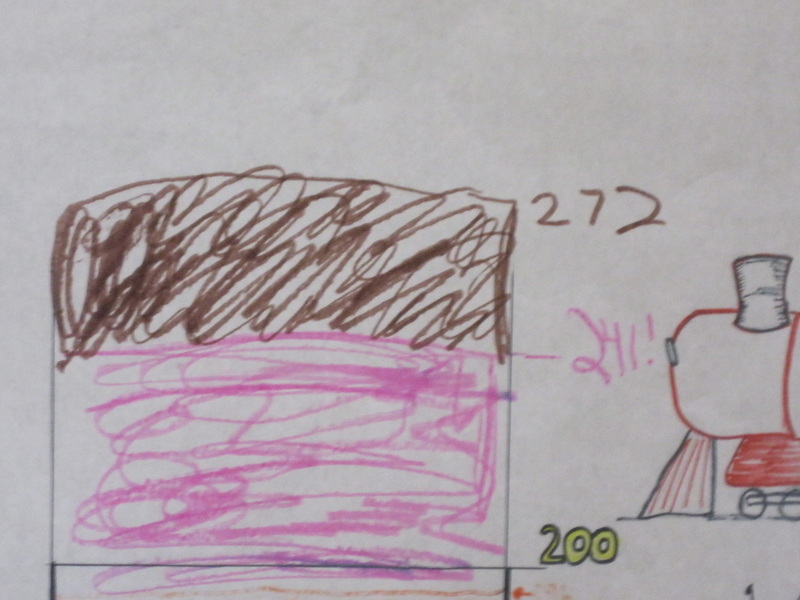 Through Holmen Middle School student council, there will be a Bingo Night on April 28th (it's a Tuesday) with 100% of the profits benefitting KidzKare. It will be in the Holmen Middle School Cafeteria (502 N. Main Street, Holmen, Wisconsin) and goes from 5-8. There is no entrance fee, however all participants will be required to buy a bingo card and (unless you bring your own, which is fine too) a dotter to mark off called spaces. There will be concessions and games for younger kids, and prizes for winners will be available! Hope to see you there! It will be a great night!!!!! Hey everyone! It's Sacia... With some news! 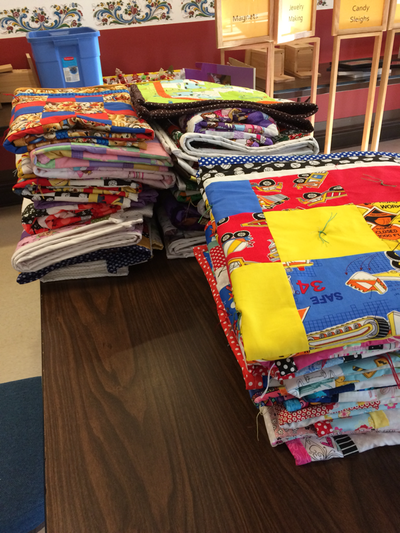 Yesterday, my mom and I delivered 38 quilts along with some toy donations to the Children's Miracle Network! 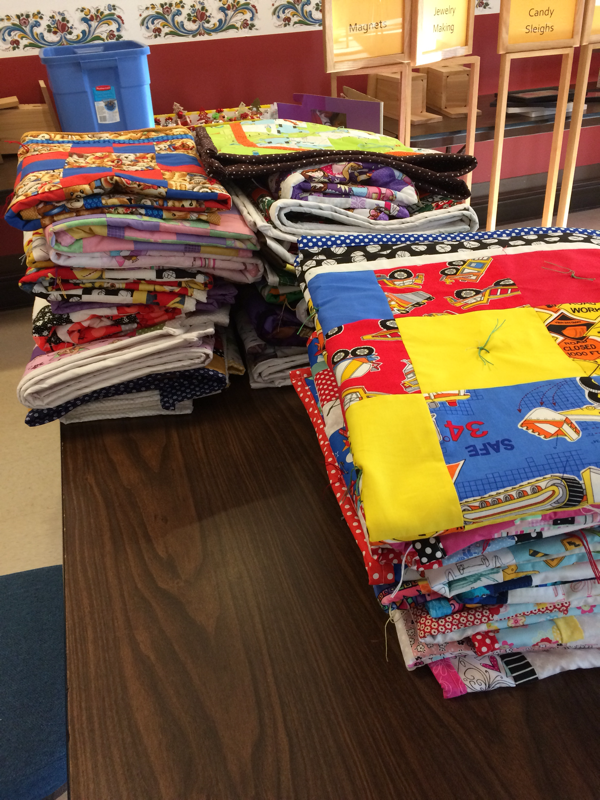 They were extremely appreciative, and we were even told by a doctor that the kids LOVE receiving the quilts! 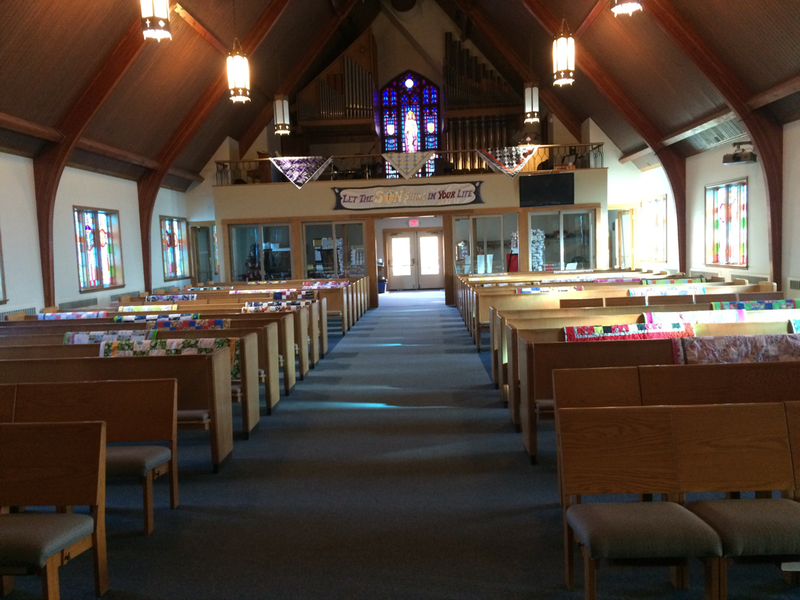 Thank you so much to everyone who's worked hard to make KidzKare so successful, especially the ladies of Holmen Lutheran Church! Big things are coming for KidzKare! Stay tuned! 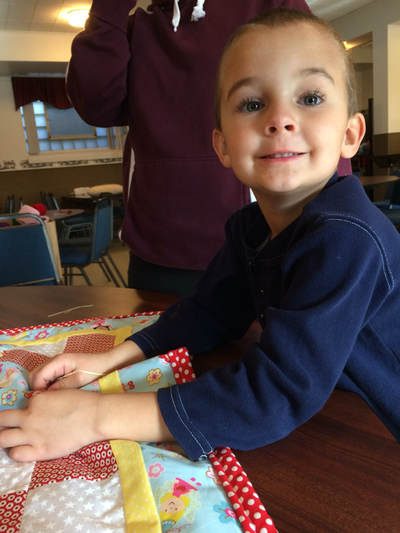 -KidzKare quilting is continuing through Holmen Lutheran Church! We greatly appreciate all of the effort and time put forth by many people, including Ellen Hesselberg, Bonnie Page, and various others. 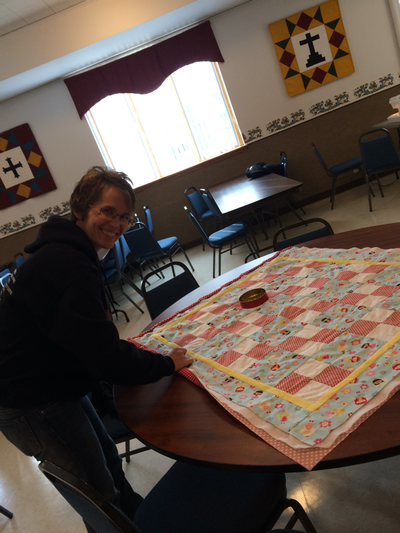 These quilts have been so successful and we can't thank these people enough!!! -Thrivent Financial is a national group that gives grants to church-related organizations. 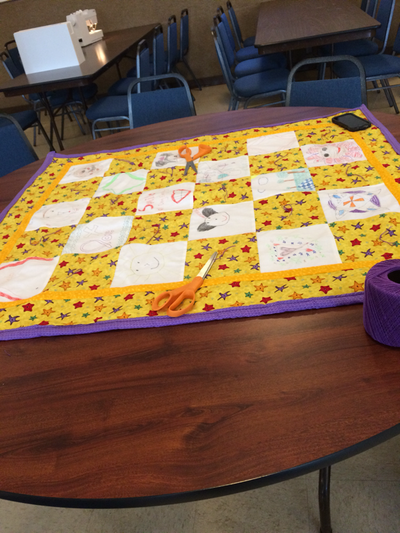 We recently applied for one on behalf of KidzKare Quilting and received it! 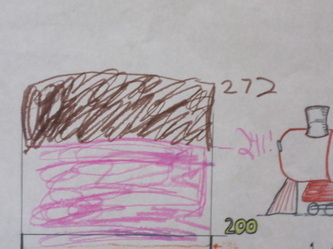 We will use the money towards batting, the soft, fluffy material inside, and also the other materials to make the quilts, because it isn't cheap!! THANK YOU SO MUCH, THRIVENT!!!!! -We continue to receive the occasional donation from community members and those are SO appreciated, also. Just because we aren't as active doesn't mean that we aren't still going! 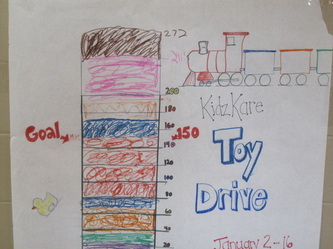 Thank you so much for all of the support for KidzKare from the community, it's the reason that we are still going. As you can see, KidzKare is still thriving. I promise, I will try really hard to keep the website more active, too! Thank you all for your support and donations, they are more appreciated than you could ever imagine! Hey! This is Sacia... sorry we haven't updated in so long! Well, here's a quick update. Since last year, we haven't done any toy drives, deliveries, etc., but we continue to receive a great amount of support from the community! Holmen Lutheran Church has recently hosted a quilting event once again! Thanks again, HLC! Also, thank you to those who continue to support this organization! 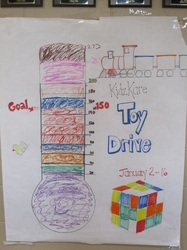 We appreciate you all so much for helping kids in need! KidzKare continues! 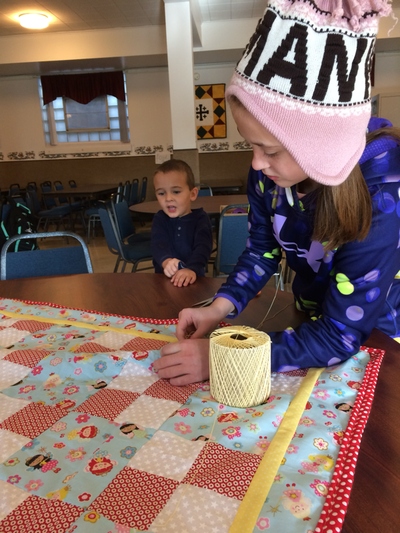 The quilters guild at Holmen Lutheran Church were so inspired by the idea of KidzKare that they wanted to get in on the action! 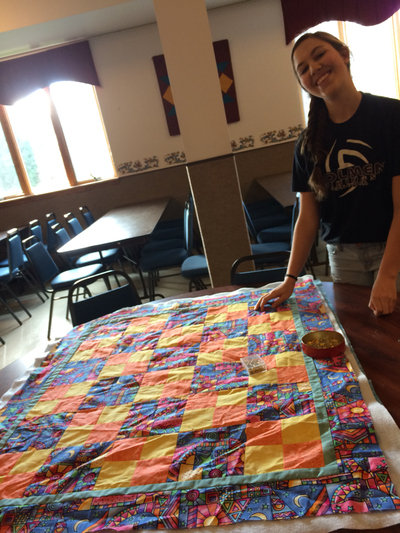 With their help and expertise we helped them assemble 35 quilts for kids! We learned how quilts were put together, how to tie them and even had the chance to machine quilt with the help of a very patient and talented woman named Mary. Thanks, Ellen, for organizing this and letting us be a part of this experience! We had "sew" much fun! 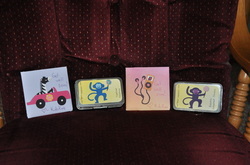 Tags saying where the quilts came from are being produced and once those are attached they will be ready for delivery. Check out some pictures of the event! Well, we're delivering tomorrow, so we (Sacia and her mom) decided to make some last minute preparations. The containers to the left hold 48 gift cards to various places for the CMNH! We decorated them in fun ways to brighten the kids' day a little bit. Wish us luck tomorrow, and we will have an update very soon about how the delivery went! Well, it's official! We are delivering next week, March 6th! We are so excited! We might even get to hand deliver some of the gifts to the hospitalized kids! Yay! 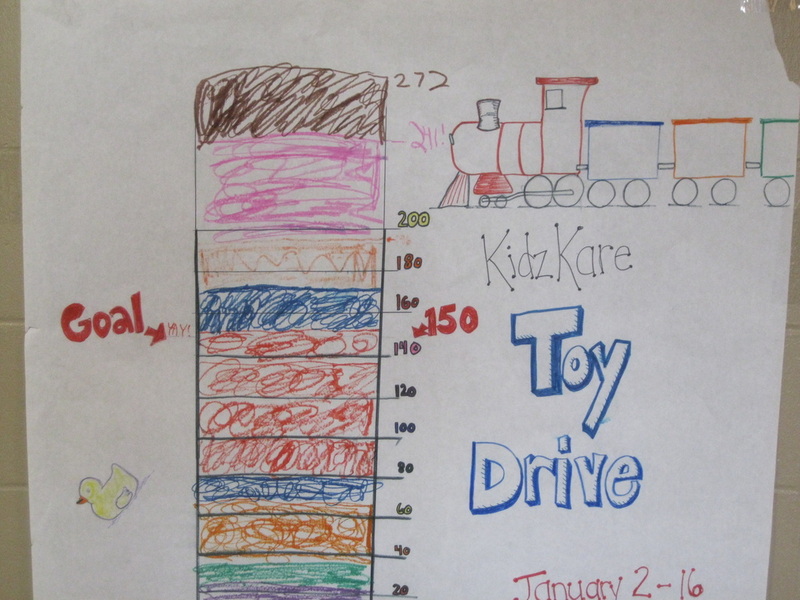 KidzKare has been very busy lately! Last week, we had our shopping trip. We were able to buy a lot of things from the wish list! Today, we were busy tagging the items so that the recipients know where each item came from. Just a few more things to finish up, and then we will be ready to deliver! We will let you know when we have a delivery date decided. This is Brynn and Sacia at Best Buy when we went shopping! We got 272 toys. It was a HUGE success! 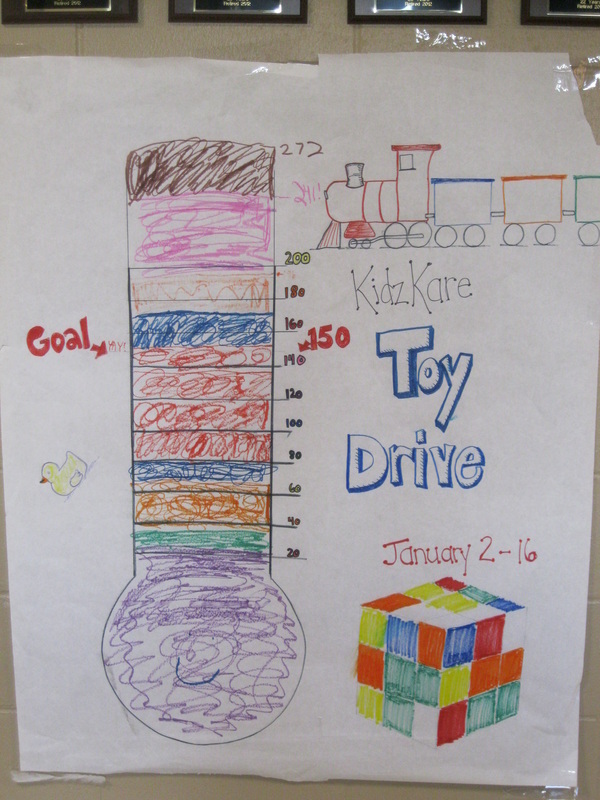 Thank you to all students, staff, and family members who participated in our Evergreen toy drive. We are so very excited about how extremely well it went! Recently, the KidzKare group was invited to a photo shoot for the iECHO (Imagination: Every Child Has One) magazine. We got to pose with a Christmas tree, with curly ribbons in our hair, and Devin and Sacia (me) got to hold Brynn a little bit! Here are the articles that will be in the magazine!